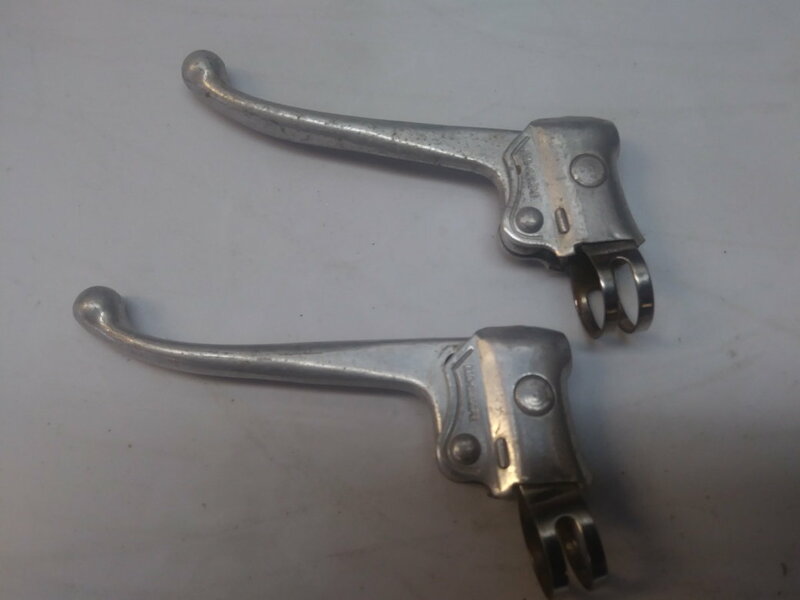 Diacompe brake levers for flat bar cruisers/mixtes. Complete and functional , but desperately need polishing. Bottom pair has threaded screw holes in the cross bolt - I don't know why. Your choice $10 + $4 shipping. Buy both for $22 and shipping is on me. Last edited by bigbossman; 08-24-18 at 08:03 PM. And replied. Deal has been struck, and these are now sold. That was quick. 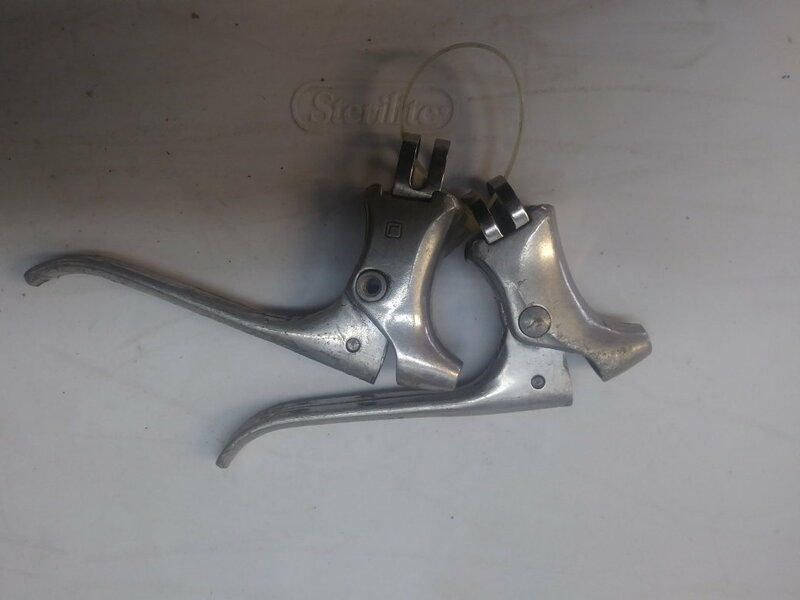 Second set has a screw hole for turkey levers. Might have started life as drop bar levers but straightened for flat bar service. I figured as much, but could not come up with a reason why flat bar levers would be so equipped. They don't look re-bent/re-purposed, So I'm guessing the cross bolts might be donor parts that replaced the originals for some reason.